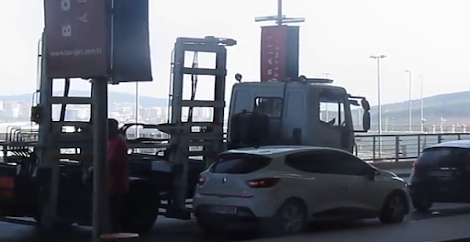 Incredible footage shows a hi-tech airport tow truck scooping up a car and taking it away in the blink of an eye. Many drivers have been tempted to ignore the warning signs about parking restrictions at airport drop-off zones in order to wave their loved ones off. 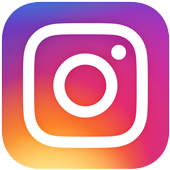 But a new video has highlighted just how quickly that decision could leave you stranded and out of pocket. 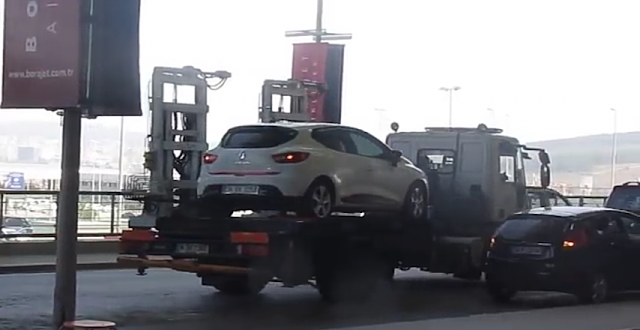 Amazing footage shows a tow truck at what is thought to be a Turkish airport scooping up a car and taking it away in under a minute. The speed of the manoeuvre is lightning quick. The tow truck parks up next to the car, lowers two metal arms and lifts the car onto its rear – and begins to move off with just under 60 seconds on the clock.